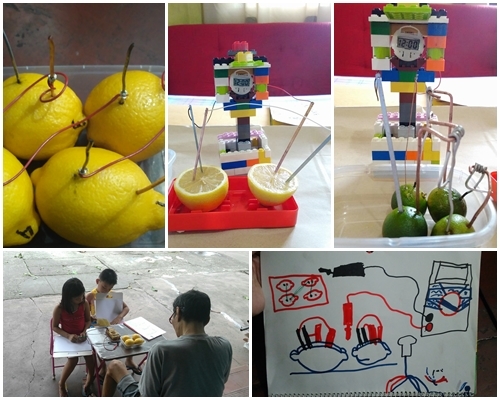 It all started with a lemon battery kit the kids have had for more than two years but have not been able to use at all. Since their Science topic for the third quarter was Matter, Energy, and Electricity, we decided to try the kit out. I was actually only interested in seeing whether it would really work but our special Science teacher this quarter, engineer Lolo Mel, had so much more to teach. From a simple lemon battery kit, the kids learned about electricity (they now know more about positive-negative terminals, voltmeter, etc, than I do!) and how even common acids at home can power a simple clock. 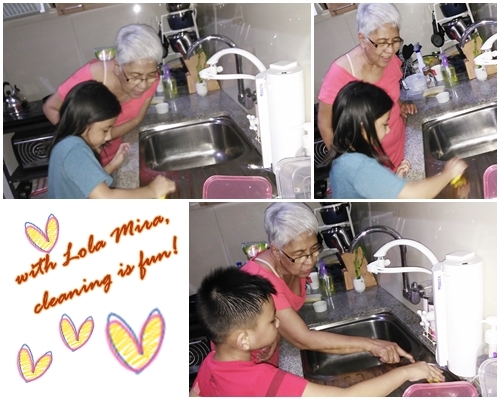 Kids also learned how to use Lolo’s handy-dandy voltmeter! 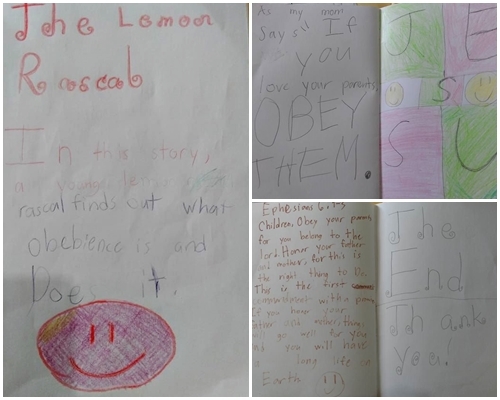 For Health, we researched on the health benefits of lemon and, of course, checked some recipes out. 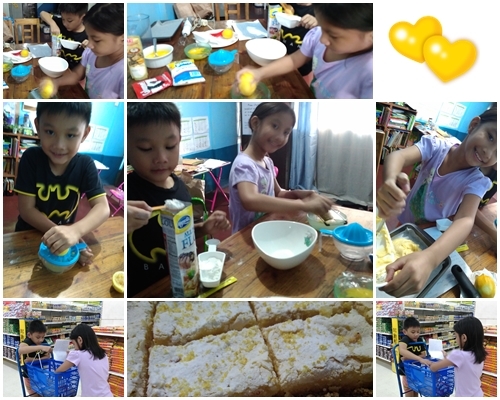 Tita Che sent us recipes for Dory with Lemon Caper Sauce (which we weren’t able to cook) and Lemon Squares (which Jade can bake all by herself now!). It was quite easy to integrate Science with all the other subjects this quarter. For reading, we classified acids and bases and created a Pie Chart. We made a Line Graph to show the relationship between the number of lemons and their total voltage. We also made a Bar Graph to show the voltages of different acids. Since we were also studying the different parts of a book, we made a “book” complete with Table of Contents, Chapters, Glossary, and Supplements. For AP and Filipino, the kids also wrote short stories. This time about a “calamansi character” who shows people in the community how they can help protect the environment. The kids wrote the stories all by themselves. It may be barok but I’m glad that they both tried their best and managed to write in Filipino. There may have been days when we were unproductive, days when I felt like giving up and just sending the kids back to school, days when the kids seemed to have conspired to go on a school strike…but, overall, I think this is the best quarter we’ve had so far (we’ve only had three though, tee-hee). What I love most about this quarter is that the kids were also able to spend time with and learn from other family members. I’m hoping we could have more of these as we continue our homeschooling journey. Still in search for summer activities for your kids? Check out the fun programs at the Galileo Summer Learning Camp. The summer vacation has arrived and students are all very excited to hit the beach or go out of town. After spending ten months inside the classroom, finishing projects, doing homework at night and weekends, and studying for examinations, students definitely look forward to taking a break during the summer time for play and fun with their friends. For teachers, the break means an uphill battle with the “summer slide.” Studies show that students could lose up to 2 months of literacy and math skills throughout the summer season, especially that the preschool and grade school years are the crucial stage to develop foundational skills needed in the long run. To solve this problem, enrolling kids in a Summer Program that runs for an hour or two per day answers the learning gap. We at Galileo acknowledges the different learning pace and style of each child, taking into account one’s need for an encouraging and positive learning environment. Our organization aims to improve students’ academic aptitude by cultivating mastery of Math and English skills in a fun and meaningful way, thereby making them lifelong learners. 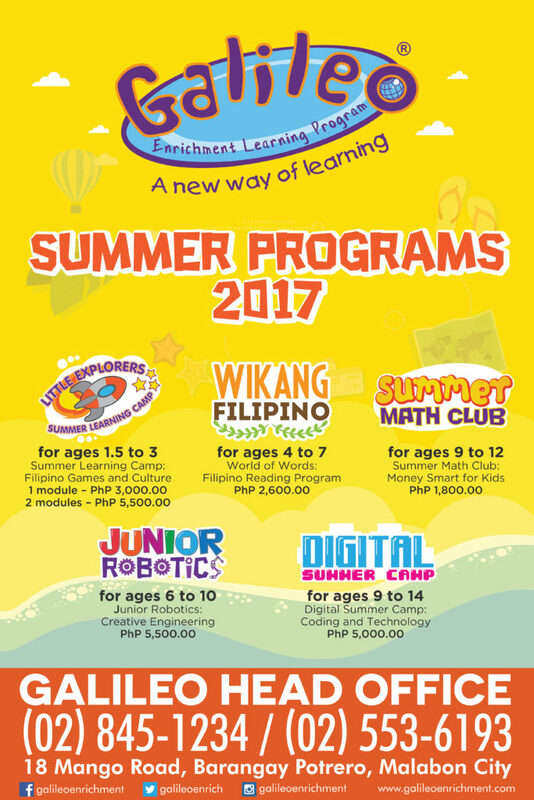 This summer, Galileo will be offering programs that will help prevent summer learning loss in an exciting ways. These innovative programs tap into the interests of the students while at the same time teach them with essential and practical learning skills. The Galileo Summer Learning Camp (SLC) is a summer program that taps into a child’s interests while exposing him to a wide range of activities, preparing him for school, and further enhancing his social skills. This year, the Galileo Summer Learning Camp brings the fun and learning to the streets through its theme: Celebrating Filipino Games and Culture. This module celebrates the Filipino culture of connecting with friends through games, while at the same time strengthening body coordination, strategy, and skills. 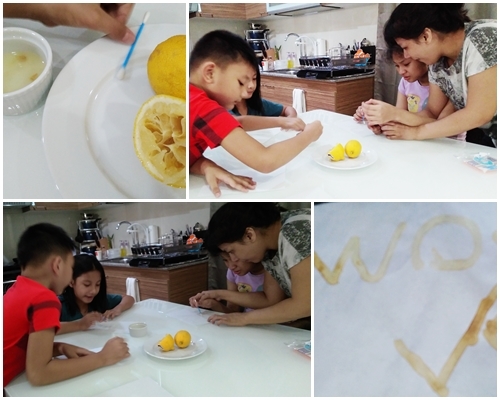 The two-module Summer Learning Camp features well-known Filipino games for children and bring it to the classroom. These games will be integrated with other activities unique to the Galileo Summer Learning Camp such as art activities, creative storytelling, interactive songs, and cooperative playing.The SLC focuses on bodily-kinesthetic learning enriched with cognitive- related learning because the toddlers’ age, (1.5- 3 y.o) is the time when they need to develop motor skills, along with their thinking and perception skills. 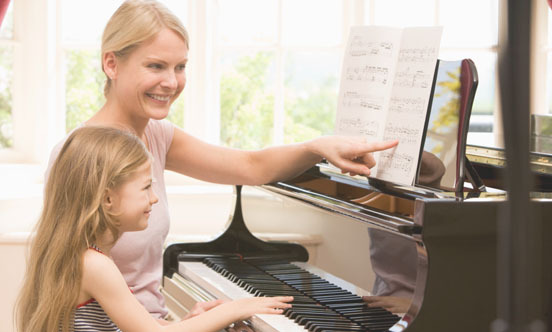 In addition, some learning concepts such as shapes, colors and few letter recognition will be introduced. 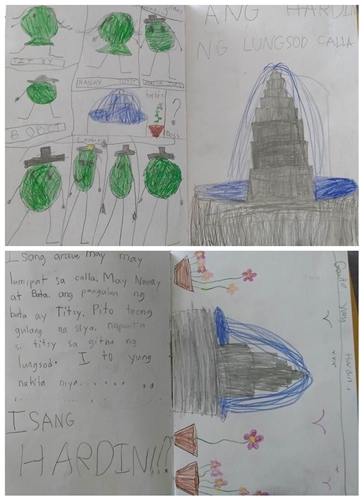 The Wikang Filipino is a Filipino Reading Program — students will be reading Filipino texts to develop their reading comprehension and vocabulary in Filipino. Explore the world of wonder and discover what it means to be a child in a Filipino culture. 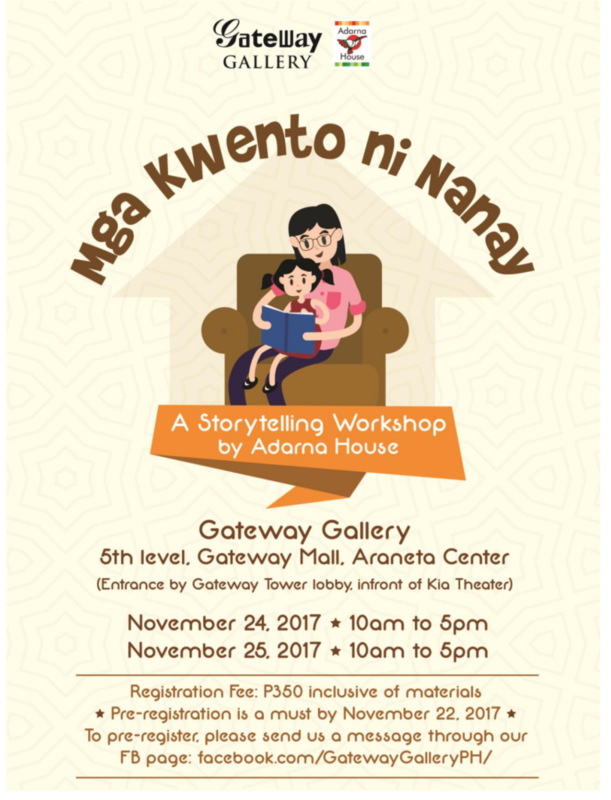 The two-module program offers local titles from Adarna Publishing House that not only teaches students to comprehend Filipino texts, but also increases their appreciation for the Filipino culture. The Summer Math Club is a program integrating Math concepts to real-life situations, it aims to enhance student’s mathematical ability, creativity, and critical thinking skills. 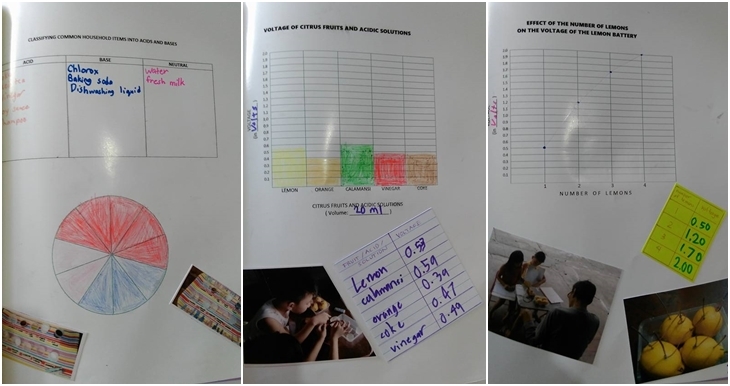 The two-module program aims to teach money management and entrepreneurship along with the Math concepts essential to each lesson such as basic operations, percentage, decimals, measurement, and graphs. The Junior Robotics: Creative Engineering is a theme-based program which uses LEGO Education’s WeDo materials and activities. It encompasses specific subject matter such as Science, Technology, Engineering, Mathematics and Language. Based on case study, each project task will eventually lead the students of all ages into the ability to acquire new knowledge. Being well-equipped with the continuous knowledge they had learnt, students will have better capability to adapt in the ever-growing technology environment. This program is in collaboration with Cyberland International Education Centre Singapore. The Digital Summer Camp: Coding and Technology is a techie summer treat that allows children to have fun while learning digital skills. This programming course aims to break classroom walls and create a learning space that will boost child’s creativity using technology. It also encourages learning through collaboration and cooperation. With Power Mac trainers as their mentors, children will be able to enhance their use of digital tools and bring life to their imagination. This is in collaboration with Power Mac Center, one of the recognized leading Apple Premium Reseller, Authorized Education Reseller, Authorized Training Center and Authorized Service Provider in the Philippines. For more information about Galileo Summer Programs, you can call 8451234 or email info@galileoenrichment.com. If you still haven’t registered yet, don’t dilly-dally anymore. You only have 5 more days to avail of the individual rate of P1,000 and the group rate of P4,500 for each group of 5. 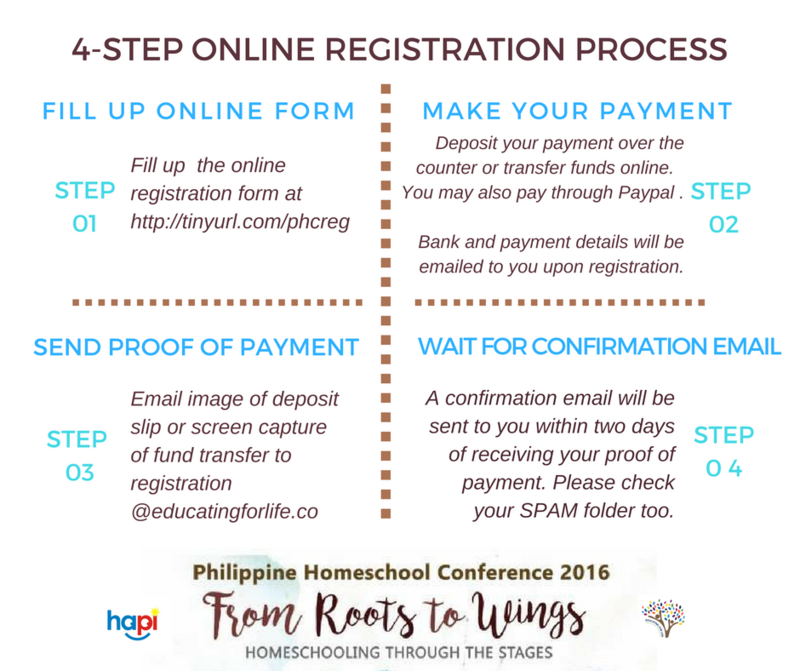 To ensure your slot, settle the fees and send the proof of payment. You can deposit payment over the counter or conveniently pay online through fund transfer or through Paypal. Now is a great time to make a list of the things you’re looking for. Prepare your budget so you can take advantage of the great discounts at the Expo. Mobile Minds Inc. has created a conference app for HAPI. 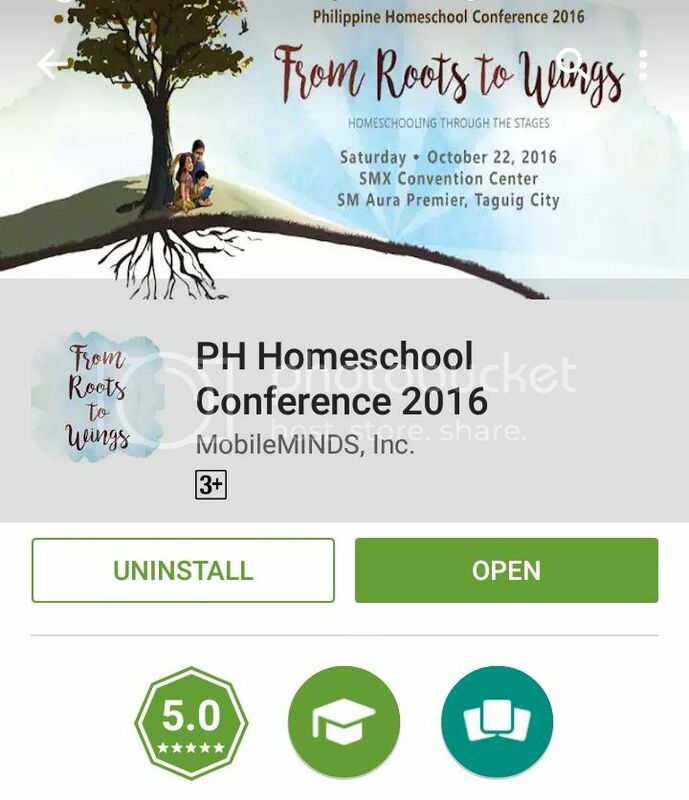 Download the “Philippine Homeschool Conference 2016” app from the Apple App Store and the Google Play Store. The app can help you navigate through the days’ program, talks, speakers, expo, and kids’ activities. Who would want to keep this a secret, right? Share away with your friends. Invite them so they can know what homeschooling is all about. Use the hashtags #PHC2016 and #fromrootstowingsphc on your social media posts. 12. ARRIVE WITH A HAPI HEART ON THE 22ND!